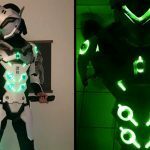 I am sure you have seen D.Va of Overwatch being cosplayed the world over, but you probably haven’t seen the best D.Va yet. 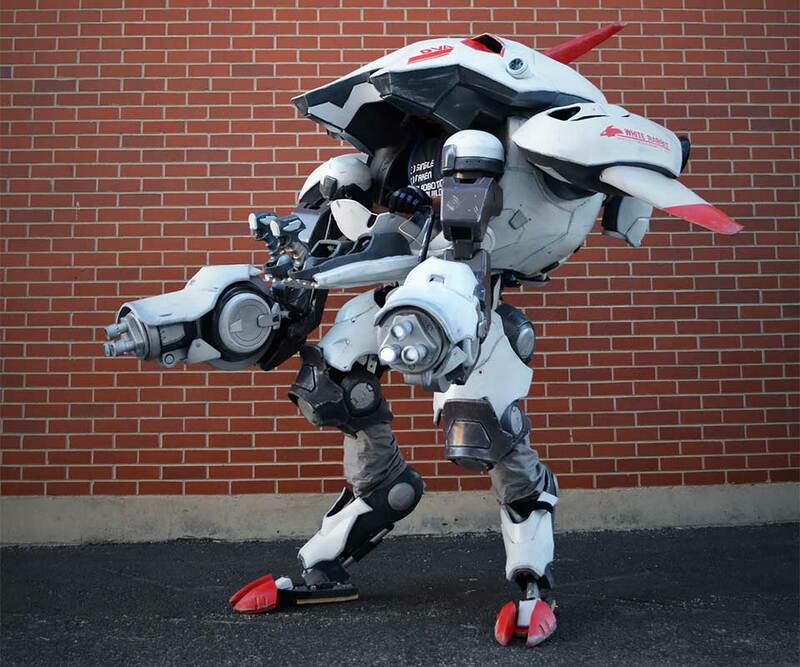 The best is not the person having the best figure, although that could be plus, but the best is one that not only ‘drives’ her mech and roam around a convention. 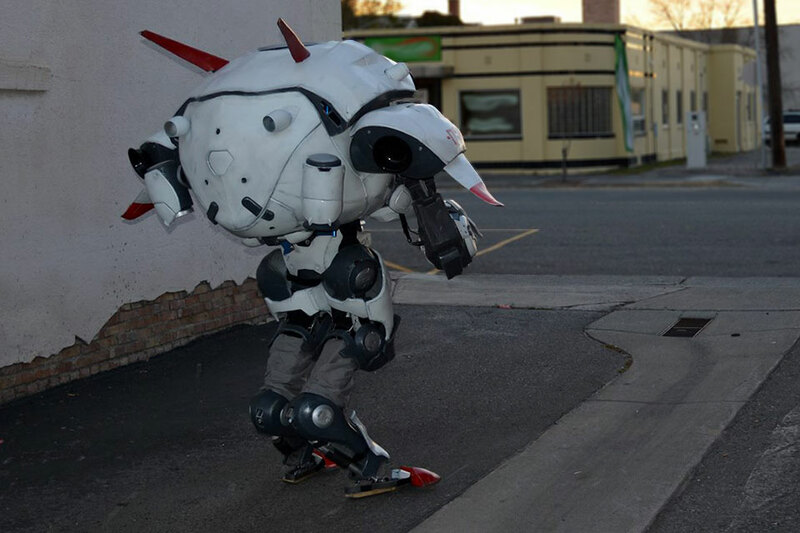 That is the best, if not the greatest D.Va cosplayer to date. 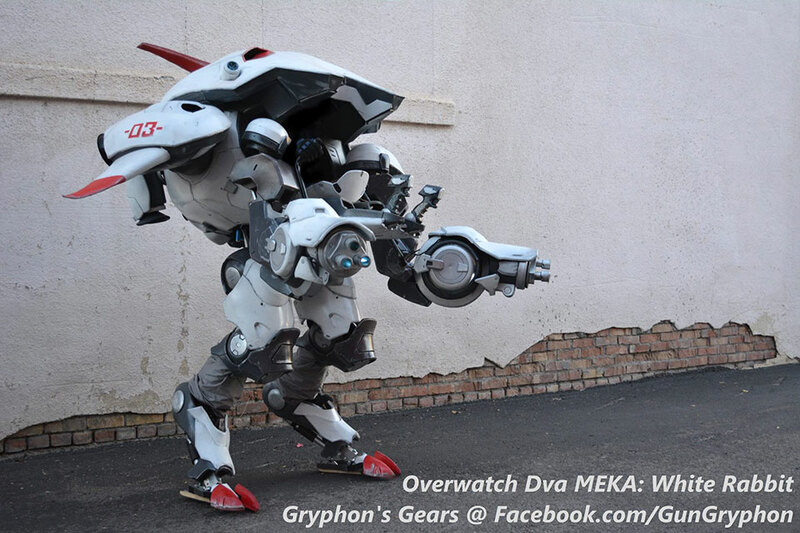 Anywho, a D.Va mech suit is exactly what accomplished props and armor builder by the handle of Gryphon’s Gears made. 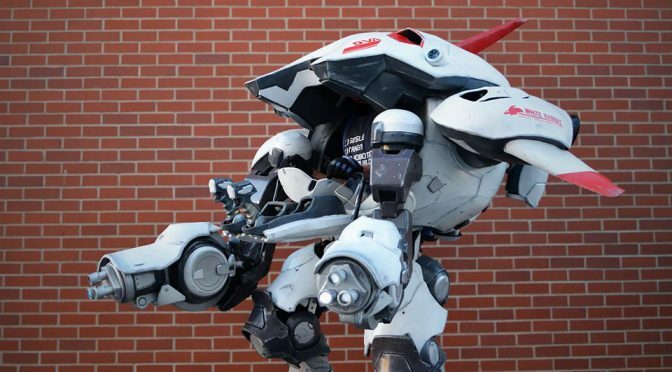 Armed with the actual 3D model from the game and six weeks later, a 7-foot tall, 50 pounds mech suit was born and it was quite a sight to behold. 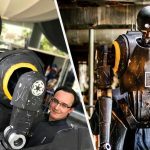 And it is a refreshing change from the horde of Iron Man cosplay. 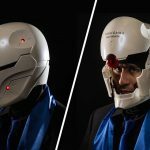 What strikes us most about this cosplay suit is, it tickles our secret fantasy of wanting to be in a mech suit, like those as seen in Avatar. We wish there is a real suit like such. No, wait. Maybe not. 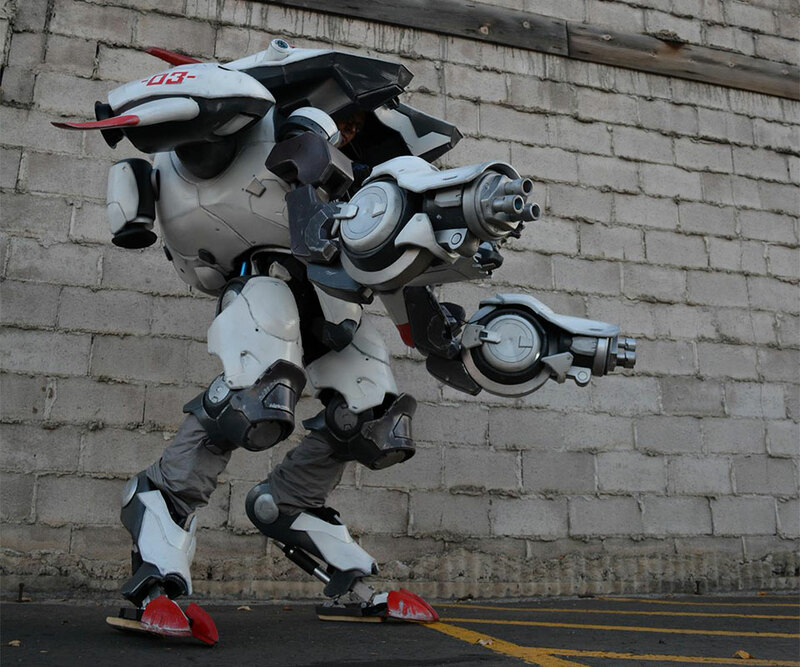 As it is, guns are taking away lives in the civilian world and I can’t imagine if D.Va’s mech suit is accessible to all. I foresee dystopia future if that were to come true. Perhaps, something are best life to fantasy and.. cosplay. 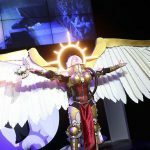 Take a moment to enjoy a few images of this awesome cosplay build and also take a look at it roaming among the sea of visitors and cosplayers at the Salt Lake Comic-con 2017.